Russia’s powerful spy agency, the KGB, is recruiting young people with mind-reading capabilities for their psychic espionage program. Their mission: protect the Soviet space program from American CIA spies. Why shouldn’t the KGB use any means necessary to make the young psychic cooperate? Anything to beat the American capitalist scum to the moon. Yulia is a survivor. She won’t be controlled by the KGB, who want to harness her abilities for the State with no regard for her own hopes and dreams. She won’t let handsome Sergei plan her life as a member of elite Soviet society, or allow brooding Valentin to consume her with his dangerous mind and even more dangerous ideas. And she certainly won’t become the next victim of the powerful American spy who can scrub a brain raw—and seems to be targeting Yulia. A psychic espionage novel set in Cold War era Russia? Consider me intrigued. Sekret perfectly blends history with paranormal elements to create a fictitious story that feels as if it could have actually happened in the Soviet Union in 1963. It has been a while since the first book in a debut series has gotten me this excited. 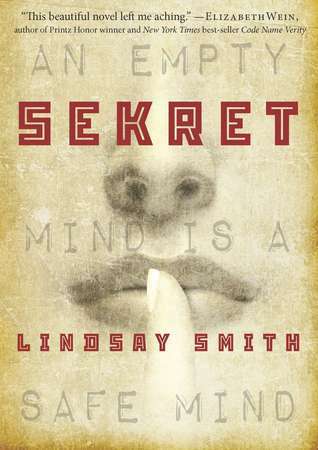 I am enamored by Lindsey Smith’s storytelling and the extent of research that was invested into making this book such a vivid representation of Communist Russia. The descriptions in this book allow for a perfect mental picture of the events as they play out. Sekret is a fresh breath of air in the Young Adult genre… it blends several YA tropes with innovative new ideas in order to create a book that is crisp and unique. Yulia is recruited by the KGB when it is discovered that she can read the minds of the people she touches. The KGB is using teenage spies, second generation psychics, to protect the Soviet space program from American spies. Yulia, the daughter of a geneticist and biologist, is a smart, determined protagonist who uses her abilities and common sense to reason and solve problems. Yulia’s first priority is to protect her family, which is a concept that plays a vital role in this novel, but then spends the rest of the novel attempting to escape the KGB. Naturally, action and deception ensue. Sekret is crafted like a puzzle; all the pieces are given to you, jumbled up in the beginning, but by the end of the book the picture is perfectly clear. Because of this, the first 100 pages or so can be confusing because of the massive amount of information given and characters introduced in a small time frame. Don’t let this turn you away: everything starts to make sense as the novel progresses. Characters become unique and differentiable, questions are answered, and the plot becomes clear. I appreciate that this book is written with an intelligent audience in mind. Smith assumes her readers have a common knowledge about Communist Russia, and that if they don’t know something, they will look it up (what a concept). Smith also does not feel the need to reiterate plot points and is able to drop subtle foreshadowing hints without giving the twists away, which is something that many YA authors have failed to master. I guessed one of the plot twists (yay!) but it was because I actually used my brain to figure it out, not because it was spelled out in the text. Disclaimer: There is a love triangle, but it is not overbearing. It almost doesn’t even feel like a love triangle because it is obvious who Yulia wants to be with and there is evident chemistry between her that specific character. The romance is really sweet and extremely interesting with the psychic dynamic, but definitely takes second stage to the plot. I really like Yulia’s love interest and the complexity of his character. In fact, all the characters are wonderful and complex and add to the story in some way, even if it doesn’t seem like they will from the beginning. Overall, Sekret is a fantastically written novel that is engrossing, thrilling, and deceptive. This book will require you to think, but if you are willing to put in the effort, I believe you will find it extremely enjoyable! I highly recommend Sekret and am looking forward to reading Skandal as soon as I can get my hands on a copy! 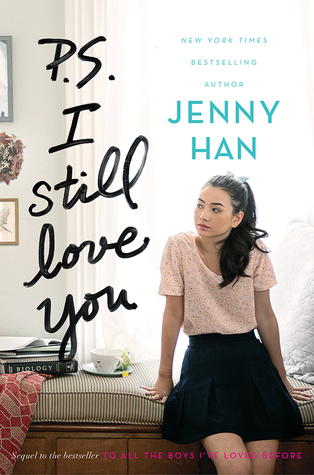 Synopsis: Lara Jean didn’t expect to really fall for Peter. Ignite Me embodies every aspect you could ever wish for in the final book of a series. It’s emotional, empowering, satisfying, and most importantly, the best book in the entire series. Young Adult Dystopian trilogies too often struggle with tying up the lose ends in the last book, leaving the reader with a dissatisfied feeling toward the series as a whole. The Shatter me series did NOT have this problem at all. 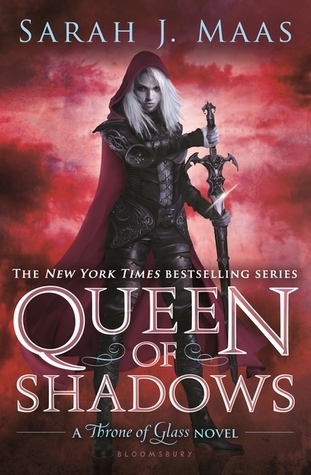 Each book gets better and better, and the character development in each book is perfectly executed. 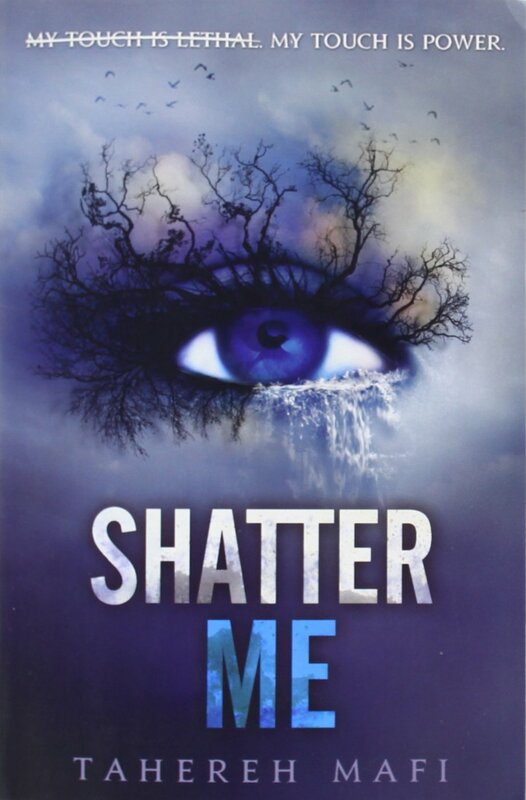 If you haven’t read Shatter Me yet and need a bit of convincing, please check out my Shatter Me review. I did not review Unravel Me because I was too busy, but I gave it 4.75 stars in Goodreads. 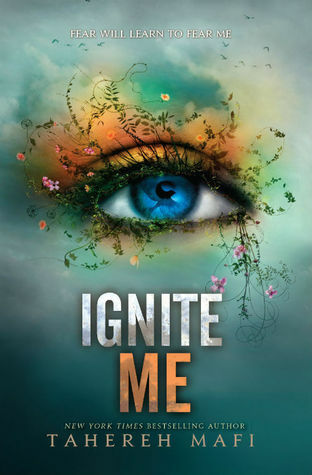 This review for Ignite Me will contain spoilers for the rest of the series, seeing as it is the last book, and I want you to be able to enjoy this masterpiece of a trilogy as much as I did! I know, I’m about the last person in the universe to hop on this bandwagon. I have constantly been told to read this book, and guess what, I finally did! Overall, I really enjoyed this book. It is a refreshing change from what I have previously been reading and is exquisitely unique. Mafi is very much a visual writer, which is evident though the repetition, punctuation, strikethroughs, and use of numbers scattered throughout her prose. Not only is Mafi’s writing visual to the eye, but also visual to the mind, as it is drenched in flowery metaphors and vivid imagery. The beautiful writing is accompanied by a stellar story, filled with several interesting characters that provide potential for great character development as the series progresses. Here are some things that I loved about this book, and some things I didn’t particularly enjoy.